This superb, engrossing novel derives much of its considerable charm from a rare feat. Valiant Gentlemen explores utterly serious subjects with insight and compassion, yet the author doesn’t take herself too seriously, nor do her characters. And this must be intentional, because when one character begins to look too hard at his reflection in later life, this shift marks his downfall. 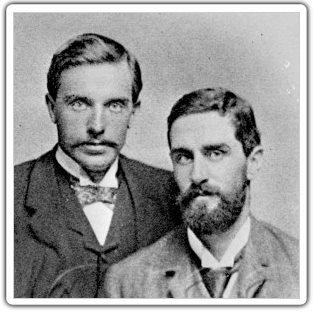 The journey here begins in the Congo in 1886, where young Casement and Ward meet. Both are looking for gainful employment and adventure, but since the work pays little, adventure keeps them going. At first, they toil for King Leopold of Belgium and his so-called International Association of the Congo, but then for British trade interests, both of which carry political consequences. However, at this point, those considerations still percolate below the surface. Ward, a former circus acrobat, seasoned traveler, dead shot, and gifted sketch artist, is at heart a deeply lonely man who wants to make good. Casement, a skilled linguist, brilliant organizer, charismatic, and possessed of boundless energy, is lonely too, but for a different reason. He’s homosexual, a fact he must conceal, and he’s hopelessly attracted to Ward. Casement might welcome rain, but that would transform the path into a river, which would, in turn, give way to a mud track. And the brief relief from the insect population that happens in the wake of these torrential downpours would only offer up the intense humidity that mosquitoes love so well. One discomfort merely exchanged for another, which makes the absence of choice about such things almost tolerable. Or at least promotes a philosophical stance regarding his lack of control. The two men’s paths diverge, as each gets what he’s been looking for. Casement sets his sights on becoming British consul in one African colony or other, and Ward leaves Africa and gets married. His bride is an Argentinian-American heiress, so you may well ask how a penniless, erstwhile acrobat manages to attract her and earn her father’s consent. But I won’t tell you, except to note that Sarita Sanford is a woman ahead of her time and says what she thinks. When two such irrepressible spirits meet, the results are bound to be hilarious. The marriage gives Ward what he’s always wanted, respectability. But, unlike Sarita, he calls that an end in itself, the mirror-gazing I referred to above. She’s less conventional than he, perhaps because she recalls her early girlhood, and what it was like to be poor, differently from how Ward holds onto his past and a father who had only contempt for him. So he doesn’t quite know what to make of Casement the muckraker, who earns fame publicizing Leopold’s brutalities, a gripping subject that Murray handles with skillful economy yet raw power. Ward’s always happy to see Casement and drink with him–and the Ward children love their Uncle Roddie–but you sense the growing rift between the two old friends, and a betrayal in the wind. Sarita, meanwhile, understands Casement perhaps better than her husband, though the two men have a bond she can’t share. The First World War brings matters to a head. Murray dazzles you without being self-conscious; it just seems natural. So it’s startling to come across phrases like “tipping point” or “I’m fine with that,” which I doubt were current in 1910, or careless errors, like council when the text implies counsel. All the same, I’m fine with unbridled zest and a bubbling, potent narrative; Valiant Gentlemen is a brilliant, magical book.